A range of modern day story books written for adults called ‘Tales’ has won Norwich University of the Arts’ (NUA) business competition, Brainchild 2016. ‘Tales’ is a quarterly submission based publication with an emphasis on storytelling and the whimsical. The unique publication offers escapism from daily life and an almost Peter Pan like outlook. Sam added: “I’m really looking forward to all that we are going to learn over the coming months and so grateful to the judging panel for choosing our concept. I’m just excited to see where this will take us and the magazine in the future. Seven entries in total made the Brainchild finals this year, with BA (Hons) Fine Art student Lauren Brunt coming in second place with her idea ‘Revealing History’. Lauren’s concept was all about bringing the history of the English Civil War to life, and the impact it has had on British heritage and day-to-day living. The winners will receive a total of £5,000 worth of mentoring from business leaders from an impressive array of local companies including Archant, Aviva, Selesti, Steeles Law, Lovewell Blake and Ashton KCJ. Additionally Kathrina and Sam have been awarded a year’s membership of networking organisation Norfolk Network. 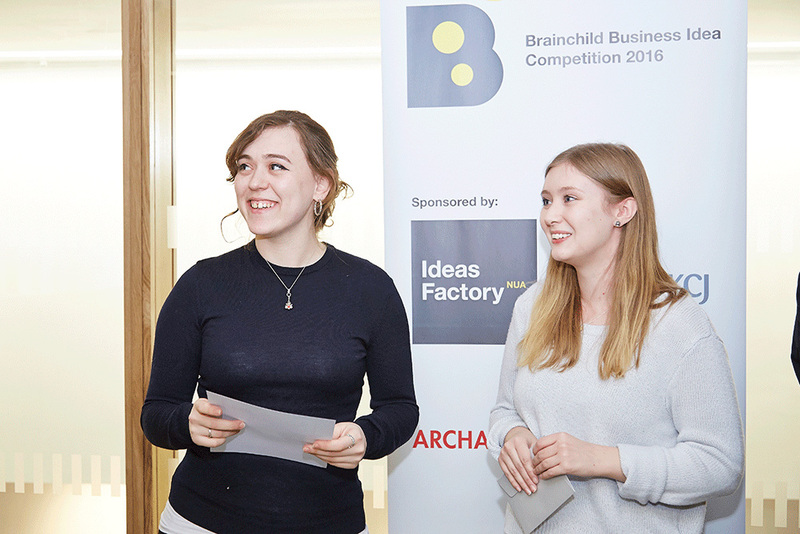 The Brainchild competition is organised by the Ideas FactoryNUA, NUA’s creative consultancy. Open to its undergraduate students, postgraduate students and recent graduates it offers entrants a series of workshops on specific topics relating to business start-up as they develop their ideas and competition entries.